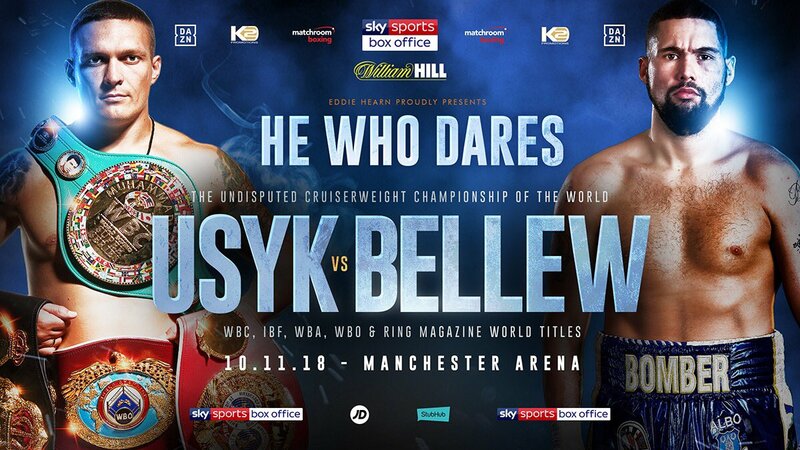 On Saturday night when Anthony Joshua knocked out Alexander Povetkin for the first time in his career, we saw Oleksandr Usyk and Tony Bellew square off in the ring ahead of their fight for all the world cruiserweight titles in Manchester on November 10. Usyk who holds the WBC, IBF, WBO and WBA cruiserweight belts will be putting it all on the line when he faces the Liverpudlian. Oleksandr Usyk believes Tony Bellew has ‘strength and power’ that needs to be respected and that he has a heart of a lion. The Ukrainian has been installed as the favourite to win the fight, but with Tony Bellew he has always found a way to win. 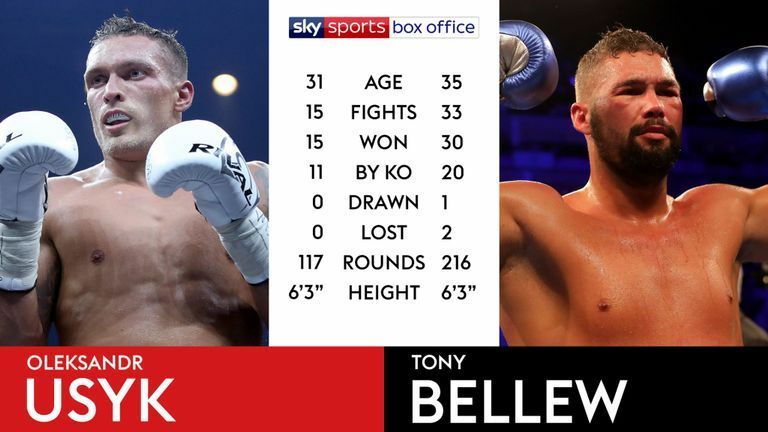 Tony Bellew has previously held the WBC title that Usyk now holds and he is coming off back to back wins against David Haye a former cruiserweight champion himself. “Usyk does respect all of his opponents. He does give credit to Bellew’s strength and power,” said Alexander Krassyuk of K2 Promotions. 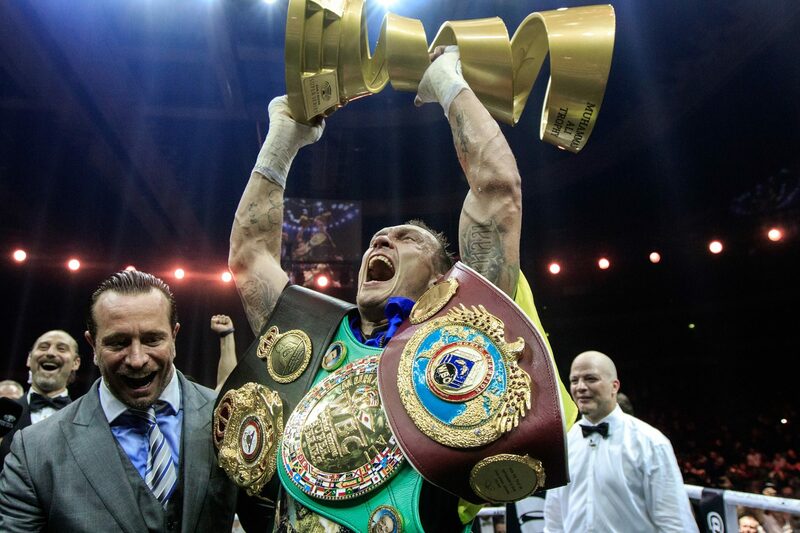 Since winning Olympic gold in 2012, Oleksandr Usyk has shot up the rankings in no time at all. In his tenth fight he was world champion after beating Krzysztof Głowacki in Sept 2016, he then went on to beat Marco Huck, Mairis Briedis and Murat Gassiev, going to their backyards and getting the win in the World Boxing Super Series. His last outing was in July when he added Gassiev’s IBF and WBA belts to his existing WBC and WBO titles to become the first cruiserweight to hold every major championship after winning the World Boxing Super Series. Murat Gassiev was known as a power-puncher, similar to his next opponent. However, they will not draw comparisons to Bellew, said Krassyuk: “I think these two fighters cannot be compared. They both are recognised champions and elite-level boxers but they have completely different style.